Yuri Petrovich Kugach was born March 21, 1917 in the Old Russian city of Suzdal, located in the Vladimir region. In 1931 his studies in art began at the "1905" Moscow Art School. 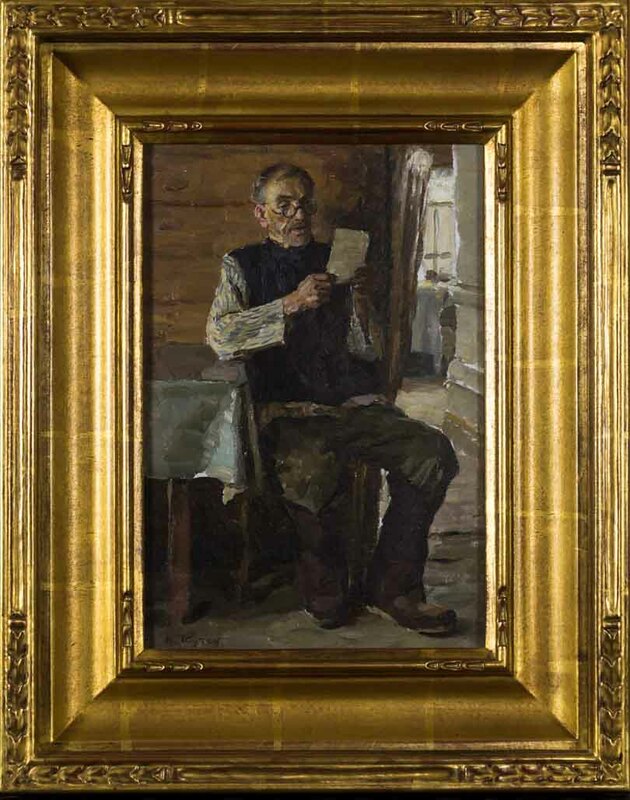 In 1934 the school established a painting department which afforded Yuri the opportunity to study under the great Nikolai Petrovich Krymov. In 1936 Yuri moved on to study at the Moscow Art Institute (known today as the Surikov). Once in attendance at the Institute, Kugach skipped directly to the second year and studied under the highly revered I.E. Grabar and S.V. Gerasimov. While studying painting at the Surikov, Yuri fell in love with one of his fellow classmates Olga Grigoryevna Svetlichnaya. In 1937 the two exquisite artists were married. The couple was blessed in 1939 with a son Mikhail, who would later carry on the artistic tradition of his parents. In 1942 Yuri graduated from the Institute and from 1948 to 1951 he taught at the Surikov. 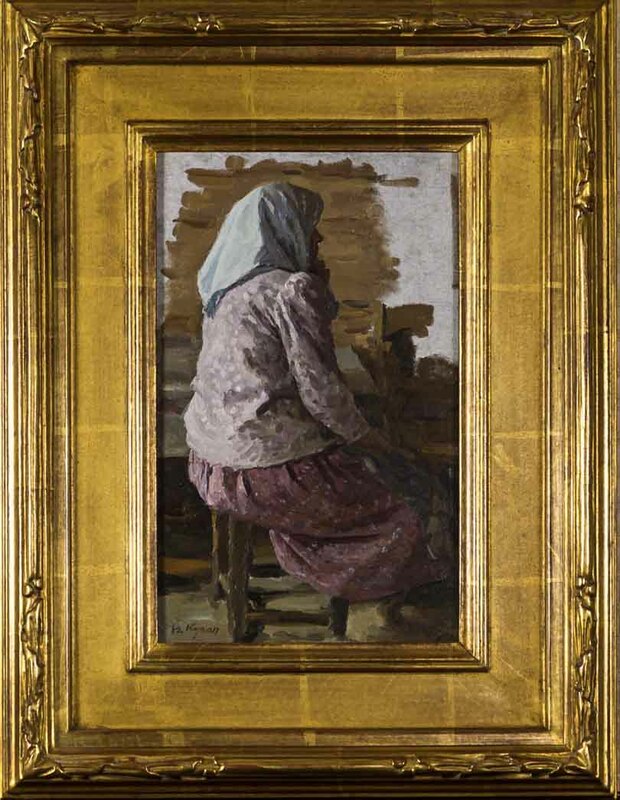 In 1943 Yuri Kugach and 11 other academically accomplished artists (including his wife Olga Svetlichnaya) were evacuated to Samarkand, Uzbekistan for the duration of the war. It looked like Moscow might fall to the Germans so the Soviet government decided to evacuate their most promising artists who they saw as cultural assets. He participated in the creation of the eminently important state commission of the painting, “Leading Individuals,” in the Kremlin along with V.P. Efanovii, S.I. Dudnik, and V.G.Tsyplakov. Yuri was elected "Academician" in 1975. 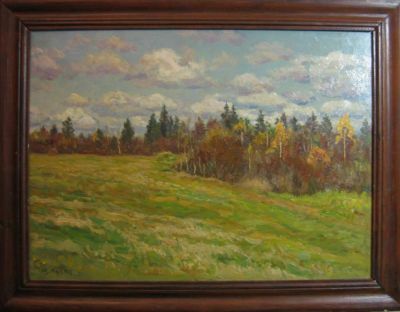 After 1950, Yuri and Olga moved to the countryside of the Tver region. 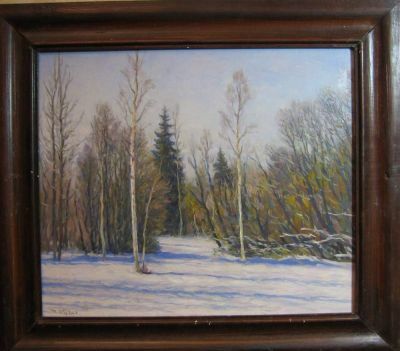 The couple lived in close proximity to the Academicheskaya Dacha (House of Artists of Russia). Numerous famous artists, including Repin and Levitan, were notorious for visiting and painting this beautiful countryside. Scenes of village and family life became the predominant subject of both Yuri and Olga's work. They were driven by the principle that "[art] is only strong when it is national" and a nation is made up of its people. What better way to create works of national eminence than to depict the nation's people. The decision to take up residence in the country was also to allow his wife to paint beautiful works unfettered by the commercial world. Yuri loved his wife dearly and valued her painting as high, if not higher than, his own. Their son Mikhail remembers his father saying that he would play the career enhancing political games. 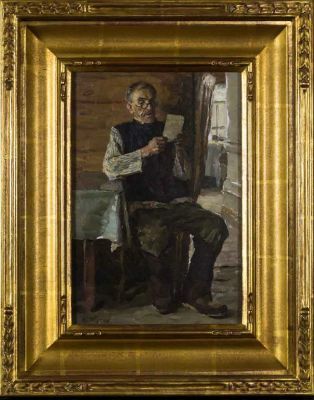 He would become famous and earn the family income so that his wife could spend her life just painting great paintings. After the war, Yuri was honored with a teaching and tutoring position at the Academicheskaya Dacha School for artists. Yuri is the founder and a member of the Moscow River School, a school steeped in the academic tradition. Great emphasis lies on capturing a sense of atmosphere as well as the accurate depiction of space. One of the primary messages he impressed upon his students was "Do not repeat our mistakes". Yuri Kugach is recognized in Russia as one of their greatest artists of the 20th century. He passed away on April 23, 2013. 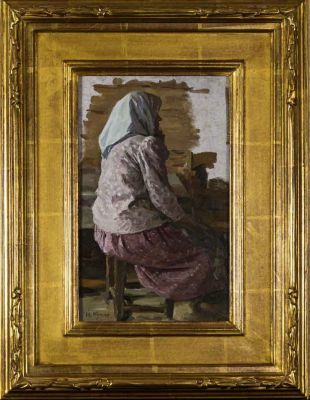 He is listed on page 172 of Matthew Bown's, A Dictionary of Twentieth Century Russian and Soviet Painters.